January 1, 2015 -- Links International Journal of Socialist Renewal -- Greece is facing a snap general election on January 25, 2015. The left party SYRIZA is leading the polls. Above SYRIZA's Ioannis Bournous and Giorgos Karatsioubanis talk on "Austerity, Collapse, and the Rise of the Radical Left in Greece". It was presented at a meeting of 100 leaders of the left from North America and Europe, August 1-4, 2014, in New York state organised by Rosa Luxemburg Foundation-NYC. For more reading guides and educational material, click HERE. April 14, 2014 -- PolyluxMarx -- For several years now, people have been starting to dust off Marx and return to his analysis of society. This is mainly due to the social turmoil in global capitalism, weaknesses in prevailing explanations of economic relationships and the harrowing crises the world has faced since the 1990s. In particular, a younger generation of readers – untainted by former ideological battles – is starting to read Capital. Whether in universities, educational institutions, unions or in their own living rooms, small groups are discussing Marx’s critique of political economy. This is exactly what PolyluxMarx aims to support. This website provides a collection of annotated PowerPoint slides that illustrate the central arguments from Capital. We also use concise introductory texts and notes on methodology and learning to make Capital easier to read. 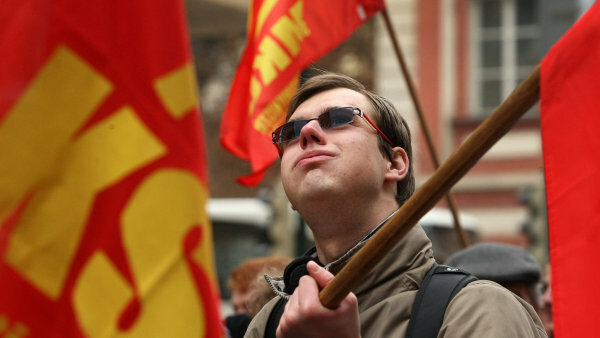 February 24, 2014 – Links International Journal of Socialist Renewal -- When the 200-plus delegates finally voted on the two main documents presented to the fourth congress of the Party of the European Left (EL), held on December 13-15, 2013, in Madrid, there was a faint murmur of surprise at the degree of support received. After all, the EL is a mix of different but related political sensibilities, bringing together “anti-capitalist, communist, socialist, ecologist, feminist, eco-socialist, republican and other democratic forces”[i]. Its affiliates embody different national political cultures and are based on all sides of the widening north-south and east-west economic and social ravines that cross Europe, the European Union and the Eurozone. Moreover, it is only 10 years old, created in 2004 in a forced march driven by the process of European integration and the need to compete with other European “party families”. January 2, 2013 – Links International Journal of Socialist Renewal -- Wuhan, the capital of Hubei Province in central China, is graced by the prestigious Wuhan University, which has been the site of international conferences on two of the world’s foremost revolutionary thinkers and organisers – Rosa Luxemburg in 2006 and most recently Vladimir Ilyich Lenin. On October 20-22, 2012, it hosted the "International Conference on Lenin’s Thought in the Twenty-First Century: Interpretation and its Value”. Both events were organised under the leadership of Professor He Ping, an outstanding scholar whose qualities of thoughtfulness and caring result in a loyal following among her studentsand whose global reach and intellectual openness have generated impressive intellectual exchanges. Paul Le Blanc presents the keynote address to the international conference on “Lenin’s thought in the 21st century: interpretation and its value”, held October 20-22, 2012. 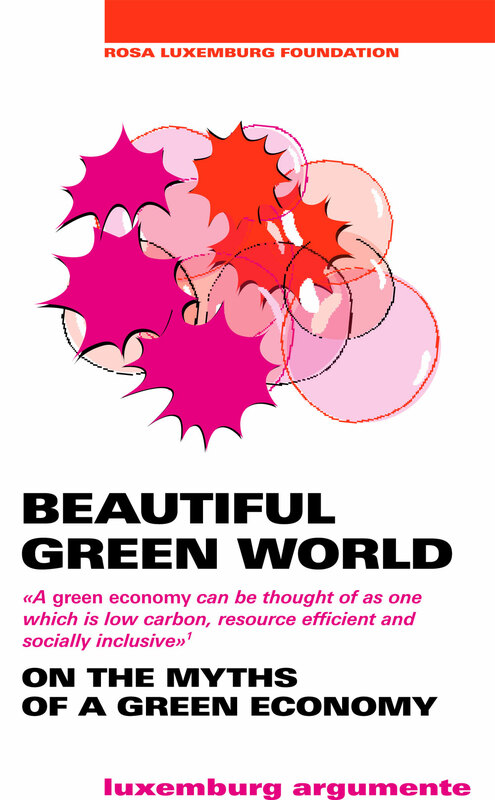 June 13, 2012 -- Links International Journal of Socialist Renewal -- The "green economy": It will stop climate change and the extinction of species and in so doing will create high growth rates and millions of jobs. It’s seen as a miraculous weapon. Through it, global capitalism will be stabilised. And then it will be sustainable as well. But what is the green economy? In it, policy parameters are supposed to ensure the flow of capital to make markets and the economy "greener" and create "green" jobs. Enterprises are to pay an "appropriate" price for environmental damage. And not least: the state is supposed to orient its public procurements to sustainability criteria and create sustainable infrastructures. As of June 2012 at the UN’s Rio+20 conference in Rio de Janeiro, the green economy is to become a new central concept of global policy. The conference is taking place on the 20th anniversary of the 1992 United Nations Conference on Environment and Development, where the magic formula "sustainable development" was coined.